Professional photographers, advertisement agencies need not to be worried now for their lost pictures because 001Micron Tools Digital Picture Recovery Software provides affordable and reliable solution for the retrieval of lost photo-pictures in the efficient way. Digital photo undelete program provides accurate recovery of lost images with support to hard disk, removable media drives and mass storage enabled Portable Flash Memory Devices, MP3/MP4 Players, Digital Audio Players, Portable Media Players, and even mass storage data connection enabled Mobile Phones. 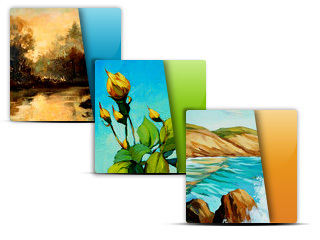 ◆ Provide retrieval of lost, damaged, deleted, formatted picture files of all file formats including gif, jpeg and more. 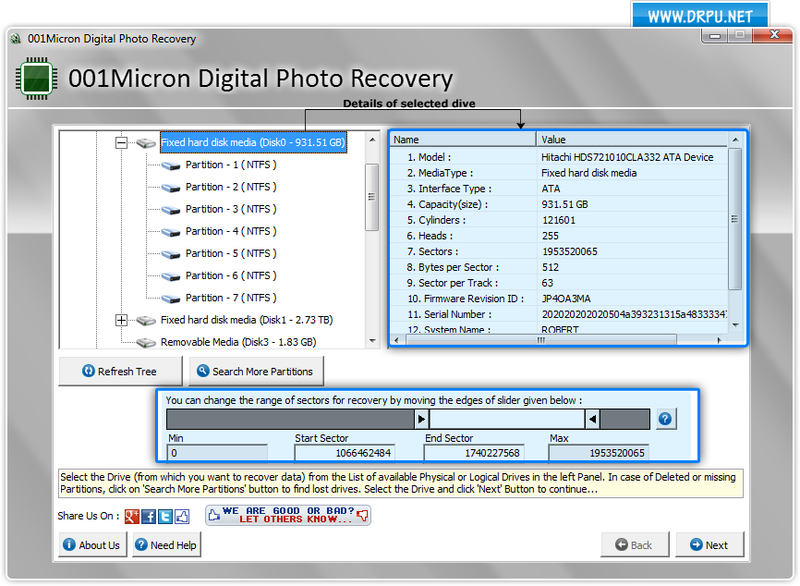 ◆ Facilitate retrieval of lost digital pictures, images, photos, snaps etc from all supporting USB drives, Pen drives, Memory stick, SD card, XD card, Multimedia card, PDA devices, Pocket PC devices, Hand held PC Device, Palm Device, Smart Phone etc. ◆ Recover and restore data from logically crashed, formatted, corrupted or partitioned Hard disk Drives and Removable media of all major brands including Acer, Sony, Transcend, HP, Fujitsu, Seagate Toshiba, Hitachi, Maxtor, Samsung, Western digital, Lenovo, IBM, Laser, Quantum and more. ◆ Restored picture files can be saved at user specified location for future use when required. Image retrieval tool support your deleted picture recovery and is helpful in rescuing your precious photographs including pictures of babies, family, friend’s special moments and more. Flash files recovery software is non-destructive utility that offers its users the facility of restoring files at safe location for future reference. The software does not require any technical skills to operate it; a non-technical person can easily and accurately handle the software. Thank you, thank you, thank you so so much for this program. I lost some very important and personally priceless photos because of a hard drive malfunction. I tried numerous disk recovery programs with no success at all. I was very upset and I was ready to give up when I saw your program in a Google search. I thought it was a waste of time but I tried it anyway as one last chance – it found and recovery every single file flawlessly!!! I can’t tell you how happy I was.